Step 1: Click on “Settings” option in the main menu. Step 2: Click on “iCloud” option in the settings menu. Step 3: Sign in with your iCloud Account. 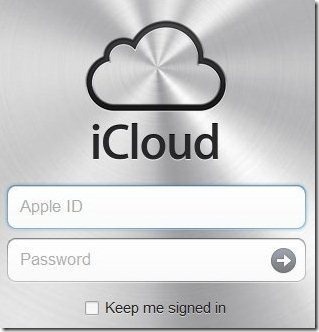 You have to enter your Apple ID and Password which you have already set for your iTunes, for getting logged in with iCloud. 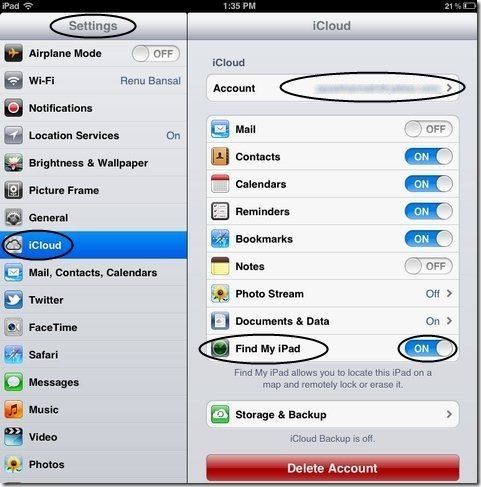 Step 4: After getting logged with iCloud Account, you will find the option of “Find My iPad” if you are using a iPad or “Find My iPhone” if you are using a iPhone. 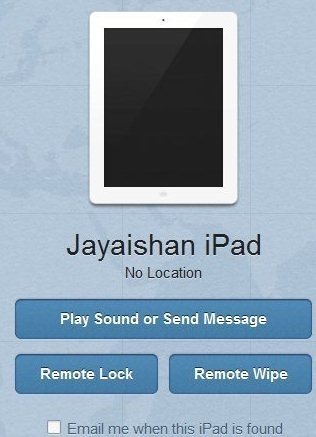 Step 5: Enable the option of “Find My iPad or Find My iPhone”. 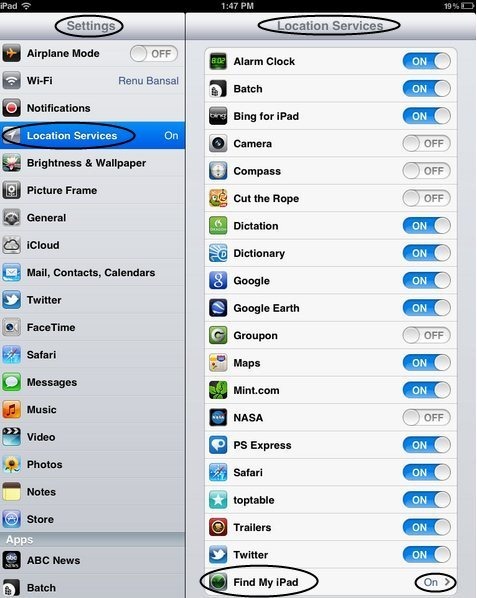 Step 6: Then go back to the “Settings” menu and click on the “Location Services” option. 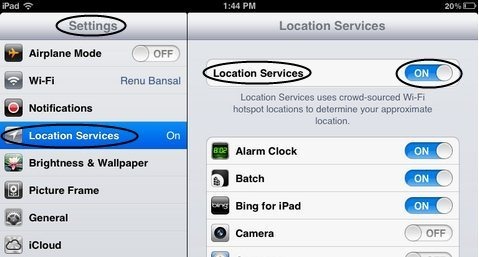 Step 7: Enable “Location Services” option. 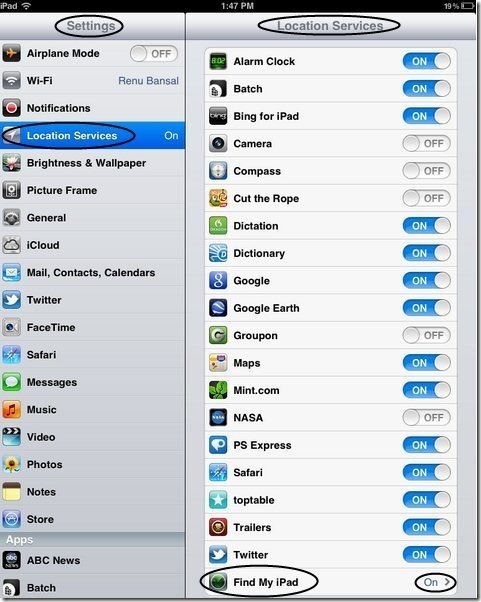 Step 8: Scroll down on the same page and enable the option of “Find My iPad or Find My iPhone” whichever you are using. 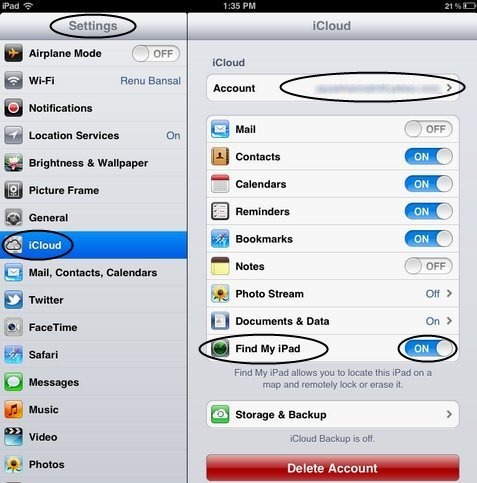 Step 10: Visit to iCloud.com or download “Find My iPhone” app on any iOS device. Step 11: Login to iCloud.com or to “Find My iPhone” app with the same Apple ID and Password which you entered on the iPhone which is lost or stolen. Step 12: iCloud will give you 5 options that is Mail, Contacts, Calendar, Find My iPhone and iWork. Select “Find My iPhone” to track your iPhone. Step 13: It will show the list of iDevices which are registered on the Apple ID and Password entered. Play sound or send message: You can send a text message to your iPad or iPhone to communicate with the person who has your device. Remote Lock: Lock your iPhone or iPad remotely with password. No one can access your iDevice before until he/she has the password. Remote Wipe: You can wipe out all your personal data remotely stored in your iPad or iPhone and make yourself safe. Perform any of the task you want to perform. 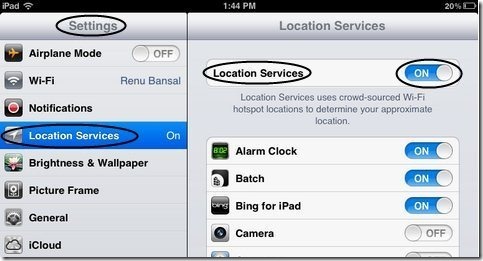 Also it will show your iPhone location on Google Map. I tried this process on iPad. This really worked. It will also work with iPhone which is updated with iOS 5. In Addition, those user who don’t have iOS 5, as their operating system installed in their iPhone or iPad, they can install Find My iPhone app.